In the complex, contentious arena of ethnicity, few identities are more interlinked than English and Welsh. It is a consequence of being part of the same state for more than 700 years, for more than 400 of them indistinguishable in administrative terms. Many of us, though clear which side of the line we stand on, have strong links to other side. That reality has been reflected in rugby, through numerous players who were eligible for either side. This reached a logical culmination in 1993 when Rupert Henry St John Barker Moon was playing scrum-half for Wales while his opposite number was Dewi Morris (who points out that he would have attracted a little less attention had he used his first name, Colin, instead). Yet among the dually qualified, Walter Vickery, born 100 years ago on 25th October 1909, remains unique. He is the only Wales player whose father had played for England. He was one of the many benefits Wales acquired from the late nineteenth century migration from the depressed farmlands of the West of England into the booming industrial communities of South Wales. So used are we to images of economic decay that it is easy to forget that a century ago South Wales was one of the most dynamic, rapidly-growing regions on earth. Among the migrants was George Vickery, born in 1879 in Chard, Somerset (as it happens, the town where my grandfather was born 25 years later). George moved to Wales and played for Aberavon. In 1905 he was called up by England, but like many English players of this period his first international was also his last, as they went down 17-3 to Ireland. This was a famous match played at the Mardyke in Cork where the RFU chose to send its team on the long rail journey third class, having already undermined them by Hon Sec Rowland Hill's veto on choosing army officer Basil Maclear, whom he declared 'not good enough'. Stationed in Ireland, Maclear accepted the offer to play for them, and ran amok in their victory in front of a temporary grandstand created by lashing together beer barrels. Walter's international career was rather longer. After a traditional apprenticeship with junior clubs Taibach and Cwmavon he had graduated to his father's old club in 1928. This was a time when they were consistently among the best clubs in Wales - they had been unofficial champions four times running in the early 1920s, the period in which they earned their 'Wizards'; nickname from a local reporter who labelled them the 'Wizards of the West'. It was also a vintage period for off-field talent. Among the children growing up in Port Talbot as Walter Vickery was building his life on the docks and with the Wizards were future actor Richard Burton, politician Geoffrey Howe and trade union leader Clive Jenkins. Vickery, a pacy back-rower, served a long apprenticeship in a career that peaked in the first few months of 1938, when he was 28. He was chosen for all three Wales matches that season (this was the period when France was excluded), in a team that beat England and Ireland and fell short of a Triple Crown only because of a late, contentious penalty awarded against a forward who was trapped in a ruck with an unconscious team-mate beneath him, that gave Scotland - who took the Crown instead - an 8-6 victory at Murrayfield. Later that season came Aberavon's 16-6 win over Cardiff. It was no great shock that they should win, since the Wizards had a winning record against Cardiff between the two wars. The margin, though, was distinctive - in a low scoring period it was the heaviest defeat suffered by Cardiff between 1936 and 1950 - as was a spectacular solo try, charging from his own half, by Vickery. He retained his place for the opening match of the following season, at Twickenham. 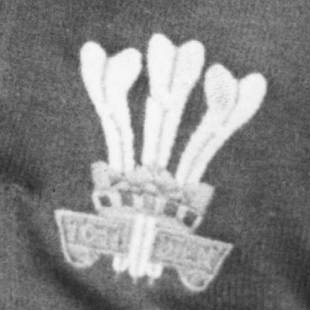 Welsh captain Wilf Wooller was so confident beforehand that he said 'If this side does not win, we never shall win again at Twickenham'. They lost 3-0 to a try by Richmond prop Derek Teden. It was a last international for Vivian Jenkins at fullback and also for Vickery. Wales made nine changes in all and Vickery gave way to Les Manfield, who was also dually qualified and had turned down an England trial. Manfield played brilliantly in Wales's two remaining games and was durable enough to return when international rugby resumed eight years later. Vickery also returned after the war, captaining Aberavon for the 1945-6 season, during which he reached the age of 37. He proved similarly durable in life, evidently the genetic inheritor of more than rugby skill. George lived to be 91 and Walter made it to 90, dying in 2000 - a lifespan which sadly encompassed the decline of his club. Tim Fauvel was the last of 48 Wizards to play for Wales (George Vickery was their one England player) when he was capped on the disastrous tour of New Zealand in 1988, and they were among the main victims of the introduction of leagues, regularly dropping from the top flight during the 1990s.